"I scream, you scream, we're Screamin' Ice Cream." Remember the days when you got so excited to hear the sound of the ice cream truck? You could hear it on the next block, run to get Mom or Dad and wait for that truck to come our way for a tasty treat! Somewhere in time, trucks have changed. 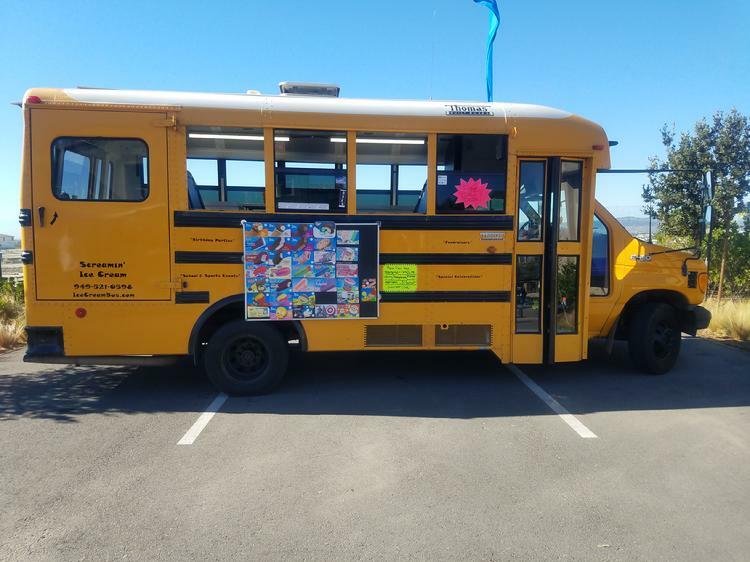 Screamin' Ice Cream is a family owned and operated ice cream BUS experience. We wanted to bring back that excitement with a fresh new look. *We offer old fashioned favorites, as well as new novelty ice cream. Including build your own float with your choice of flavors. *A variety of candy, chips, and cold beverages in stock. *Well equipped for large corporate events, grand openings or company parties. *A great way to raise funds for your school or sports team. *Birthday parties with customized serving window and a gift. Exclusively serving south Orange County. However, we have bus and will travel!